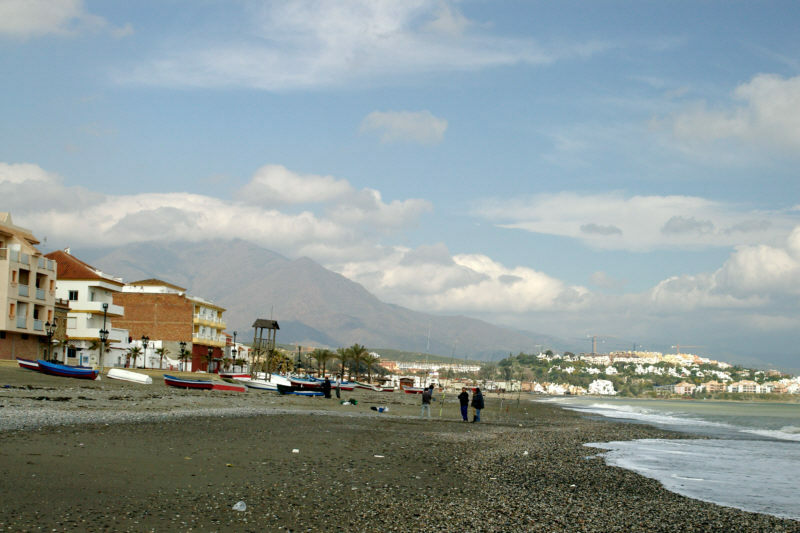 Photo: The beach at San Luis de Sabinillas with the Sierra Bermeja in the background. Eastern Mojave Vegetation The beach at San Luis de Sabinillas with the Sierra Bermeja in the background. Down the coast to the southwest, we stopped in a little town called San Luis de Sabinillas. There were a few restaurants open on the beach, and we picked one that had seafood.